If last month’s Cheese, Please! Challenge featured probably the most common cheese consumed in the UK, this month is all about a cheese that’s much under-used. I wavered about picking sheep’s milk (or ewe’s milk) cheese for fear of scaring people away but then I figured – what’s a challenge if it’s not a challenge?! And besides, when it comes to devising recipes, these cheeses pair beautifully with seasonal fruits, preserves and nuts; with fig jam, black cherry jam and quince jelly or eaten simply with a slice of pear or apple and a handful of walnuts or almonds. Sheep’s milk cheeses are more common than you might think. Spain brings us Manchego and Idiazábal; from Italy, there’s Pecorino and the lesser-known Canestrato Pugliese PDO; and the French have Ossau-Iraty AOC (voted best cheese in the world in 2011), Abbaye Notre-Dame de Belloc and a whole host of brebis from the south of the country. Whilst some of these cheeses are only available in specialist shops, others are easily found in any supermarket. If you can track them down from a good deli or cheesemonger, there’s also a whole host of British hard sheep’s milk cheeses to play with. From the West Midlands, there’s the much-lauded Berkswell; from the West Country, there’s Campscott, Millstone and Fosseway Fleece; the Southeast gives us Lord of the Hundreds, Duddleswell and Spenwood; in Wales there’s Dragon’s Back; and in Scotland, Cairnsmore Ewe. The taste of these cheeses range from nutty and sweet, even caramel-like, to salty and pungent with lanolin notes. As well as fruits and nuts, such cheeses go well in pastas and risottos and any dish that usually calls for parmesan. They love a drizzle of honey, some artichoke hearts or a handful of winter salad leaves. Are you up for the Challenge? Or will October be as sparse as a deciduous tree in the autumn wind?! 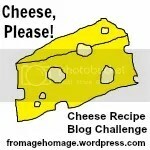 Want to take part in October’s Cheese, Please! Recipe Blog Challenge? Check out the full rules here. Thinking cap a.k.a. research hat, on! You are right. One day I realised that the cheese I’d been eating and liked was mostly sheep milk cheese, but I always thought it was sheep milk! Except French chevre….of course. We’re big fans of sheep cheese – but your post has introduced us to some new names we’re going to have to track down now!. Getting some Lord of the Hundreds tomorrow so Pork Belly may be inspired to enter your Cheese Challenge this month. Hi Have tried to enter the challenge with our recipe – but first time I’ve used Linky and it didn’t quite do what I expected…..
Hope it has arrived safely for moderation – apologies if you have received it twice! Is it the quesadillas? If so, yes it’s arrived – three times but that’s okay! 🙂 Will moderate, post up and tweet later when schoolrun and feeding time at the zoo are through…can’t wait to check it out! Inspired by this month’s challenge, I’ve made a loaf using Manchego… my daughter, who is very picky about which cheeses she will eat, loved it! So that’s one to add to the very short list of cheeses we all like – thank you for the idea!